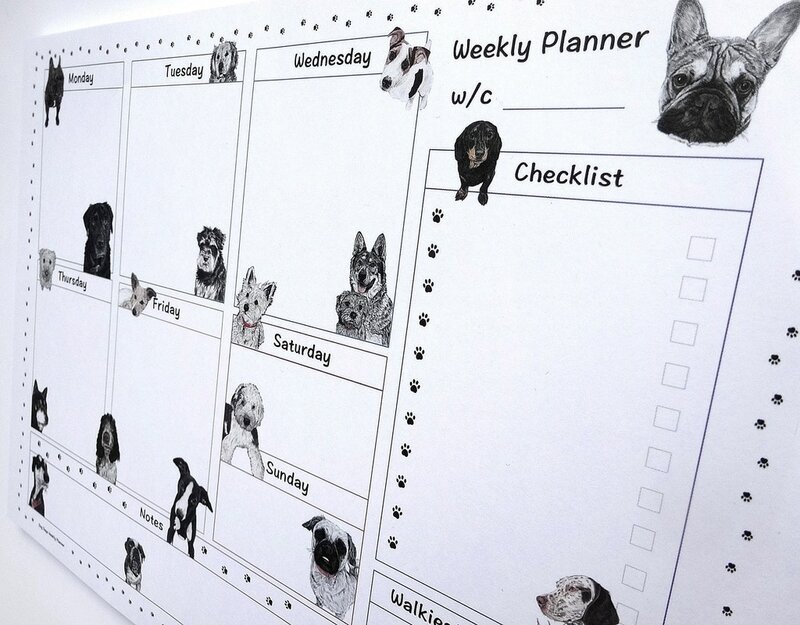 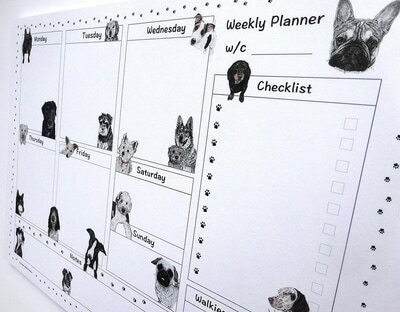 Dog Days Weekly Planner is a 50 page (90gsm) planner pad, featuring Gina's Indian ink dog portraits. 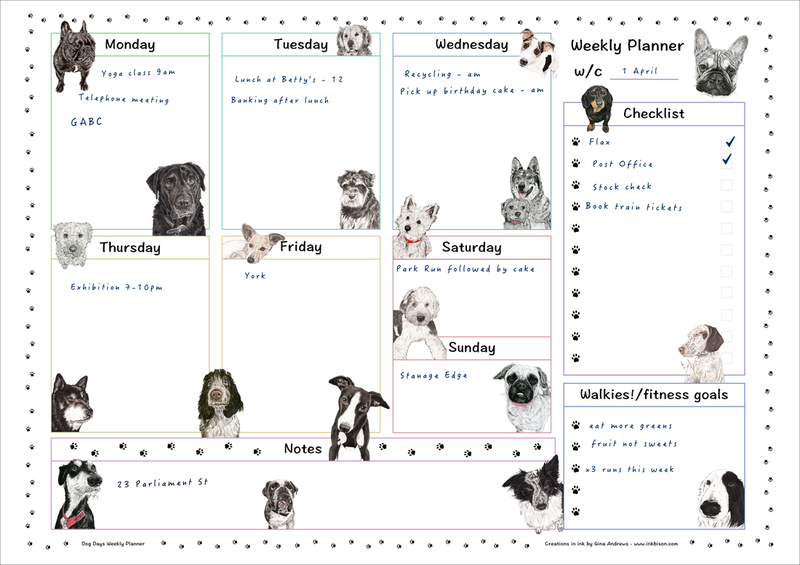 Great for list making before bed, keeping handy on your desk or pinned to the fridge. Keep life organised with this friendly dog days weekly planner. 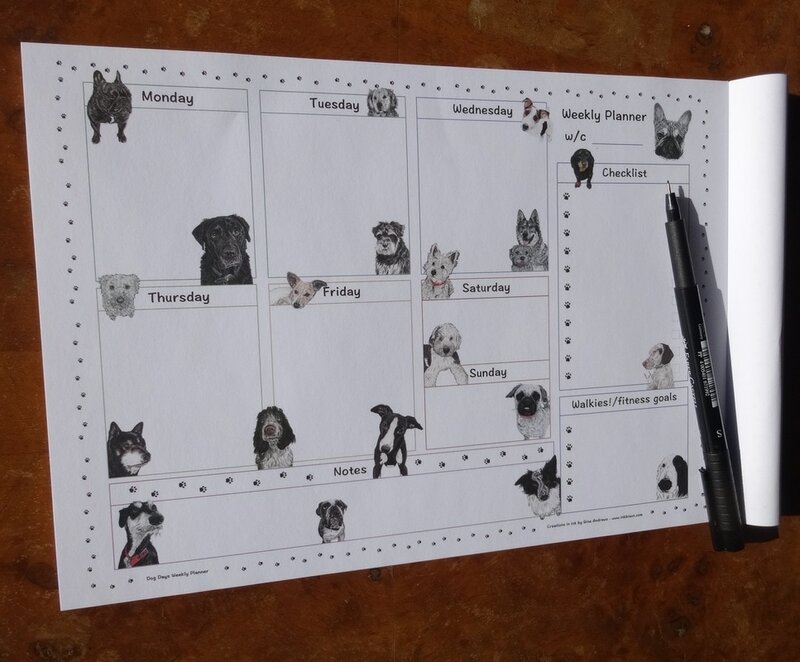 Calendars can be purchased via the InkBison Etsy store (links below) or directly from Gina - contact gina@inkbison.com to make arrangements.